Whether you are planning on attending a party (hey, for those who celebrate Halloween, that may be the case very soon), or a conference, or a convention, there needs to be planning involved. And, no longer are we limited to just one format or style for these types of events. Speaking of which, it is much easier to call it an event, then to try to figure out what they have in common. But, for the sake of planning, you are fortunate that there are enough similarities in planning that as long as you allow for the differences, you will find enough consistencies to get the planning part of the job done. Confused yet? Let’s talk about how to plan for the attendance at an anime convention, especially with all of the fascination that surrounds the idea of anime costumes. It is easy to understand how an anime convention may be intriguing, as well. So, it makes a good example for walking through the steps of planning for your attendance at a convention (or any other event). Anime conventions are comparable to an extended Halloween festival without as much alcoholism or overt partying. They present an opportunity for people of all ages to embrace the glow of youth and celebrate fantasy, art, and the excitement of fanfare. 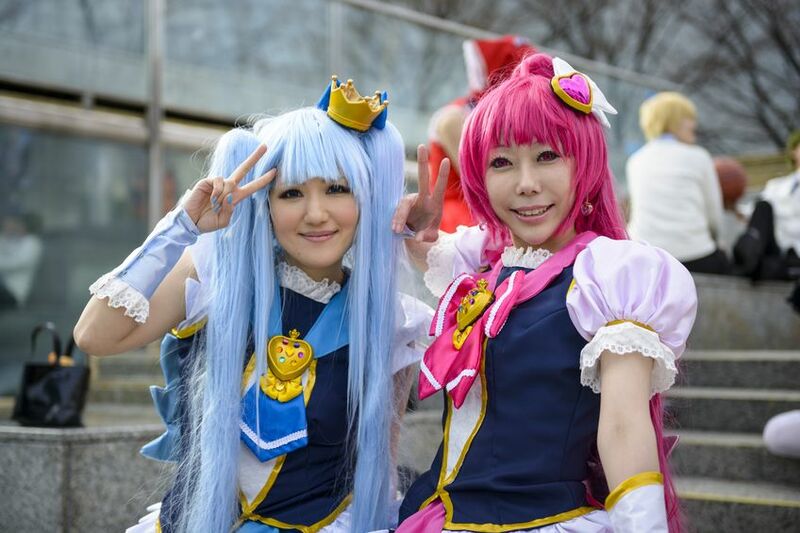 Anime conventions happen year round and you can find them all across the globe, but there are some key points to keep in mind as you prepare for the big event. As any veteran convention-goer will tell you, it’s absolutely vital to order your badge as early as possible. A badge is what most conventions provide to their guests so that their guests have proof that they have registered and gone through the check-in process. It serves as your pass for the duration of the convention. Typically it costs less if you order it early, online. You’ll also be able to avoid longer wait times in lines, which can be especially frustrating for larger conventions. Note: Some conventions do not provide badges ahead of time. The idea here is to order whatever you can, as far as registration (or any other convention-related goodies) ahead of time. Booking a hotel room should also be at the top of your list of priorities. Conventions typically allocate rooms for guests but they sell out fast. You can often find hotels that are close by the event, at a reasonable price. That said, it’s best to shoot for booking your room at least three months before the convention date. Cosplay is one of the most glorious aspects of an anime convention. While anime conventions tend to celebrate characters stemming from Japanese media, you’re bound to see everything from Disney villains and Marvel heroes to deceased rock stars. Whether you intend to make a costume or purchase an ensemble, you’ll want to order early so that you have enough time for fittings and adjustments. Creating a costume can take a great deal of time and patience, especially if you’re making items that don’t exactly appear in nature. When it comes to replicating armor and weapons; cardboard, hot glue, and paper mache will take you quite a ways down the road in reaching your goals. There are a variety of excellent cosplay tutorials and websites featuring galleries and detailed articles to help you along the way. Getting to the convention center can often be half the battle. If you’re not lucky enough to have a convention located within your city, you’ll likely need a ride. If you can’t drive there, you’ll have to rely on public transportation. Amtrak might be an option in some places, providing a cost-effective method of traveling long distances. Depending on your location, you can also take advantage of subway trains and buses to get you where you need to be going. Make sure you plot your course online before embarking on your travels so that any anxieties will abated. When planning for anime conventions, the Internet will be one of your strongest tools.